I'd been advised to pack a lotta layers for Berlin, because #cold, but the weather did a pretty smashing job at being brilliant for our May city break. And it turns out that Berlin in the sunshine is one lovely weekend away. 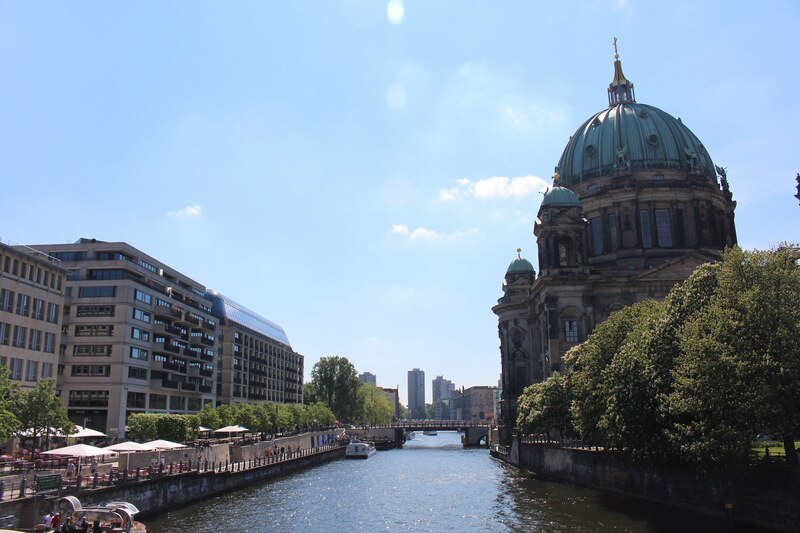 Whether it's the sparkling sunlight reflecting off modern architecture or the fact that everyone piles out onto the streets for breakfast, lunch and dinner, sunny Berlin is dazzling. Prenzlauer Berg was our home and we bagged a beautiful Air BnB for the trip. 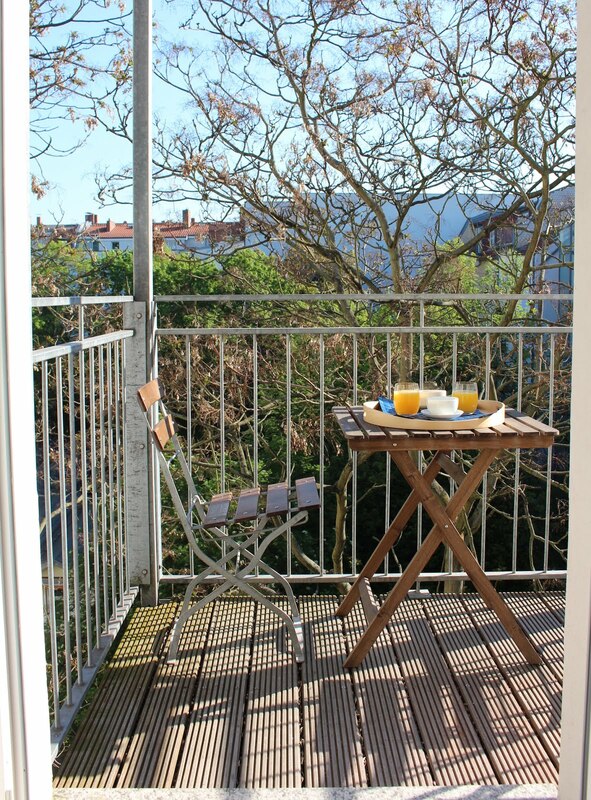 A fourth floor flat with cool, colourful touches and a balcony which proved perfect for sun-dappled breakfasts each morning. 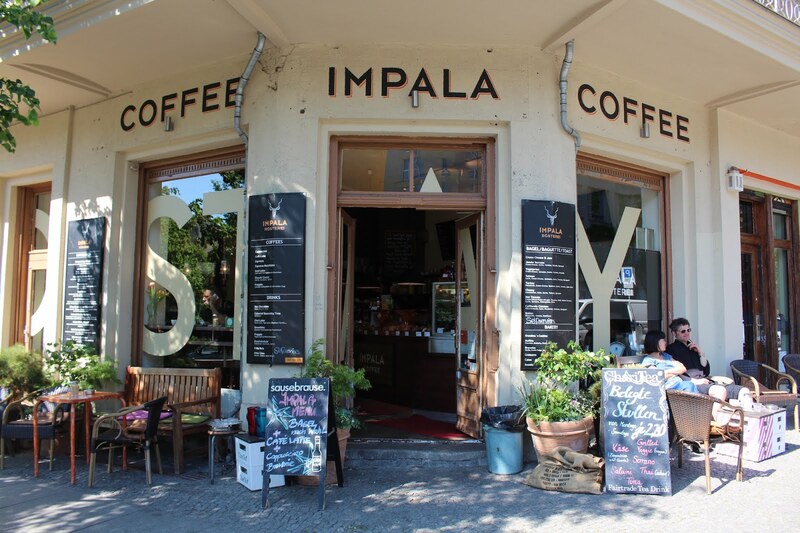 Prenzlauer Berg is an arty neighbourhood, comparatively undisturbed by the bombs which flattened so much of Berlin during the World Wars, and a real slice of the old city. It's also jam-packed with cool cafes, chic street style and fashionable restaurants. Plus I lost my shizz when I found a two-storey organic supermarket right around the corner from our apartment. Keep your eyes peeled for LPG BioMarkt and try not to go nuts at the deli counter. 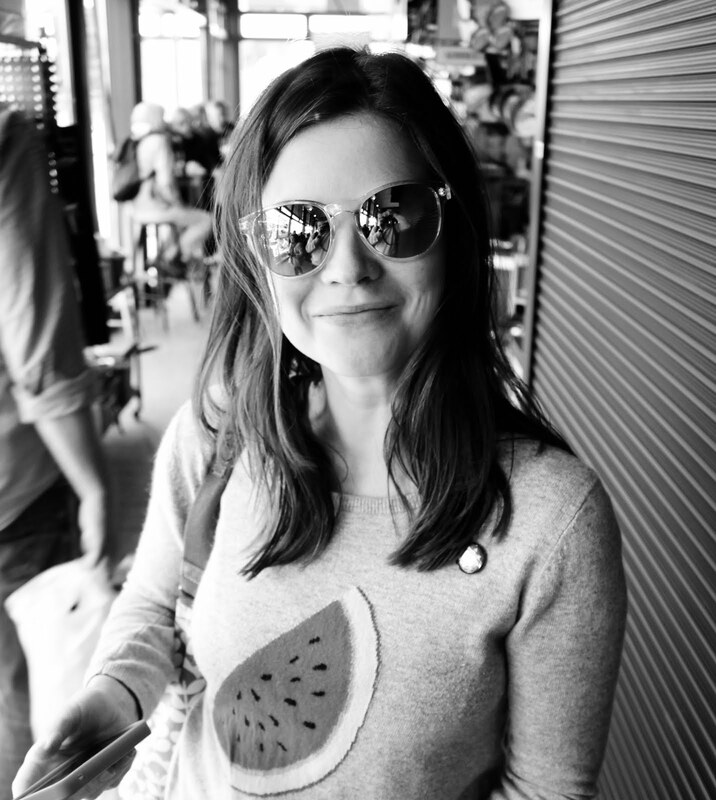 On our first night we ate Vietnamese food at a tropical oasis in our neighbourhood before heading up to Mauerpark. It was a Sunday, so the park's famous flea market had been in full swing all day. 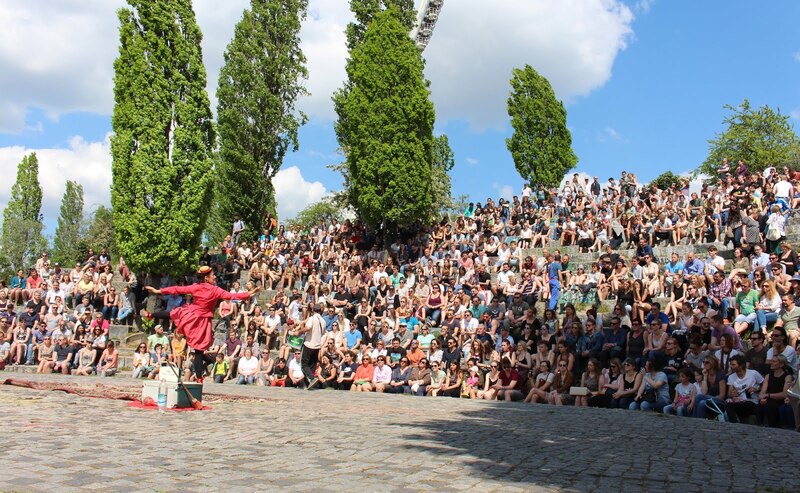 Tonnes of Berliners flock here each Sunday to keep that weekend spirit alive. Crowd into the 'bear pit' to watch karaoke and street performers, gather around the musicians playing throughout the park or just grab a cold drink from the festival-style bars and watch the sunset. 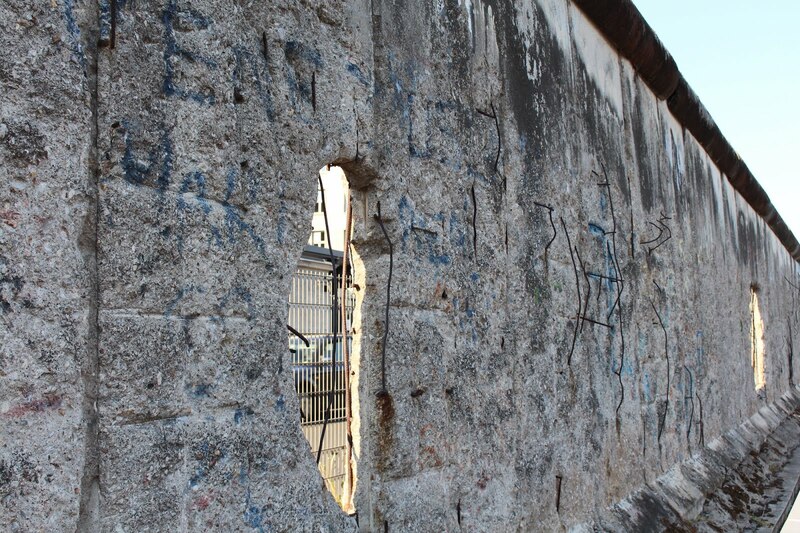 A tip for Mauerpark: keep your wits about you. Berlin is generally super safe but I caught a guy with his hand dangerously close to the mobile in my bag. I managed to forget all my GCSE German so shouted at him in English until he slunk off empty-handed. 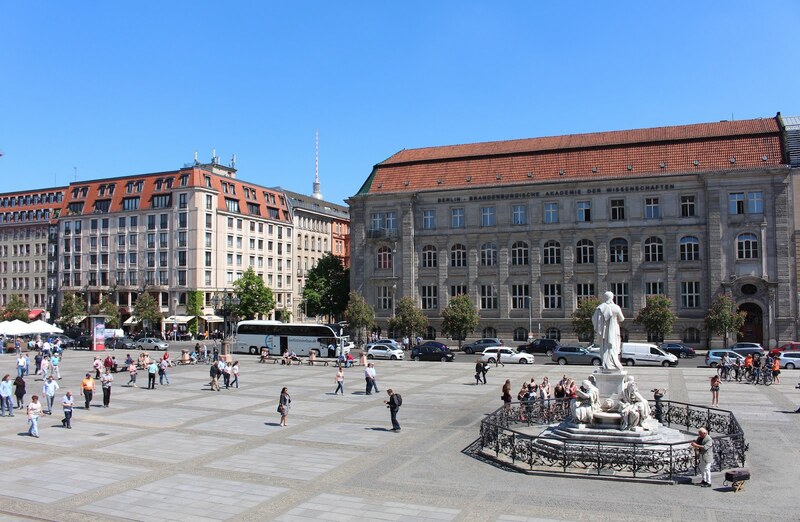 The following day we headed into Historic Mitte, taking the short tube ride into the centre. 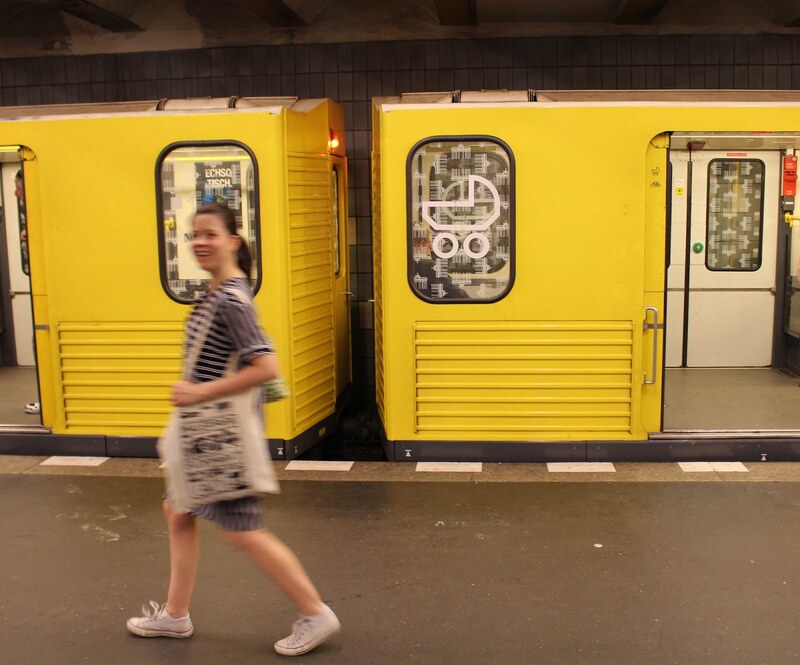 It's definitely walkable from Prenzlauer Berg, but we'd heard that you do A LOT of walking in Berlin so decided to save our feet. The tubes are regular and inexpensive. 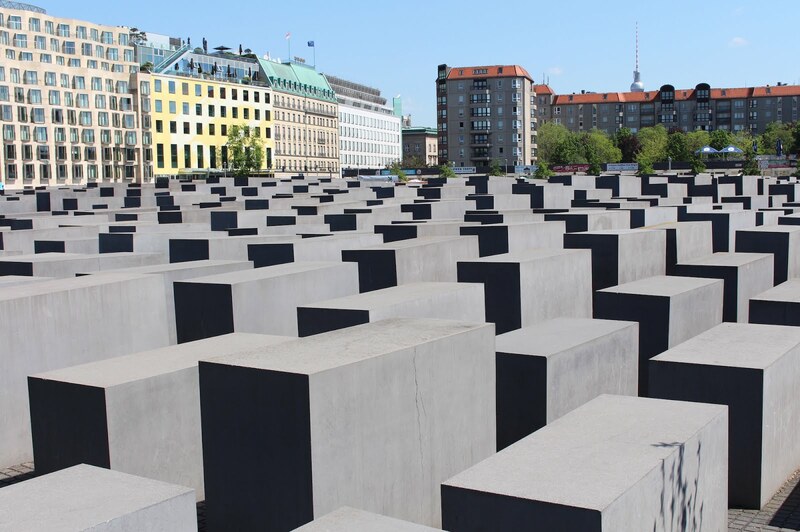 First stop, the Holocaust Memorial, where over 2500 concrete slabs are arranged on a sloping plane in memory of the Jewish victims of the Nazi-orchastrated genocide. We weaved our way into the disorientating maze, moving into an eery silence despite the city bustle around us. Everywhere you go in Berlin, reminders of its painful history mix with the vibrant energy of the new city, which must be what gives the place its incredibly unique atmosphere. 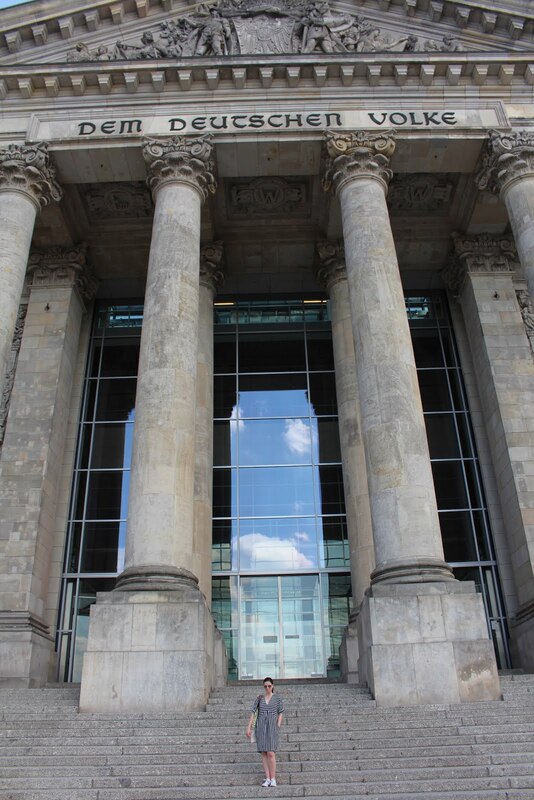 Then we made a beeline for the Reichstag, home to Berlin's parliament. If you want to go on a tour of the whole building you'll need to book WELL in advance. We looked at bookings a couple of weeks before our trip and there was nothing available. However some friends had just been and came up with the best tip. 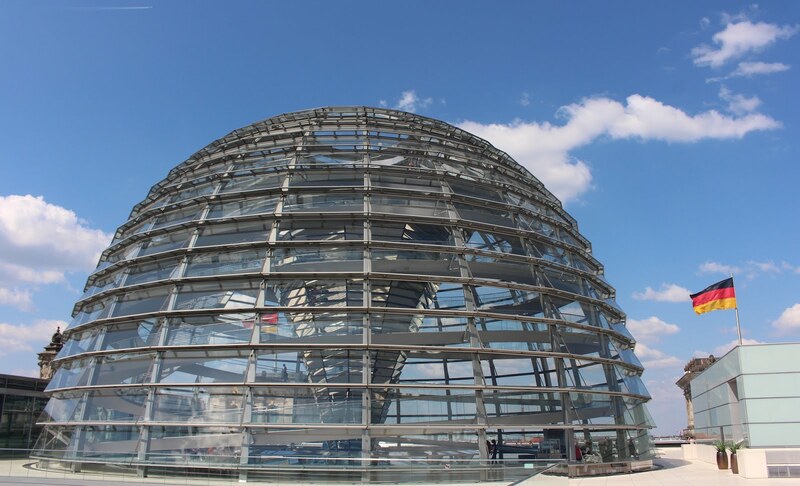 Book in for lunch at Dachgarten Restaurant, perched on the top floor of the Reichstag, and you get to go all the way up to the top and eat lunch. Winning. You'll still need to book ahead, but not with quite so much forward planning, and don't forget to take your passports with you on the day. You go through an airport-security style check before you're escorted up to the roof. I settled in for a classic Bavarian lunch of copious white asparagus and a veal schnitzel bigger than my head, while soaking up the stunning views out over the city. 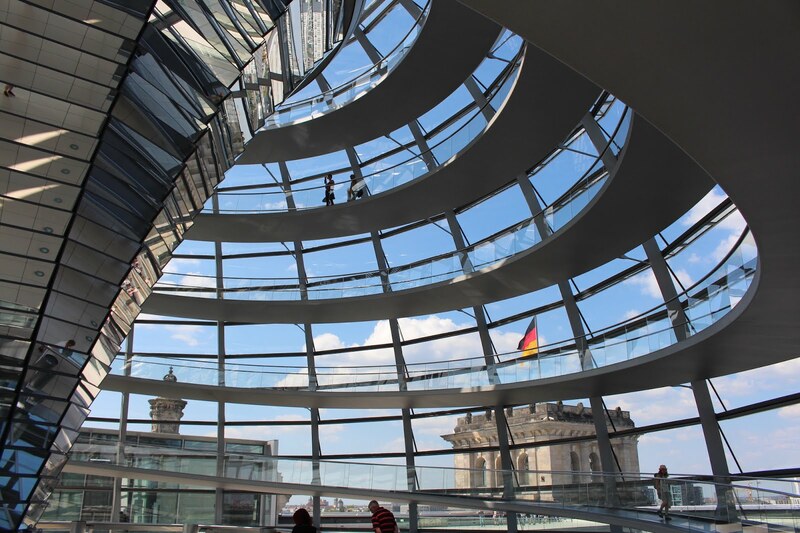 After we'd waded through our massive meal, we weaved our way up to the top of the Reichstag's glass dome for 360 degree views over the entire city. The main body of the Reichstag might look super old, but only the shell survived a fire in the 1930s so the entire inside has been redesigned. It's fascinating. 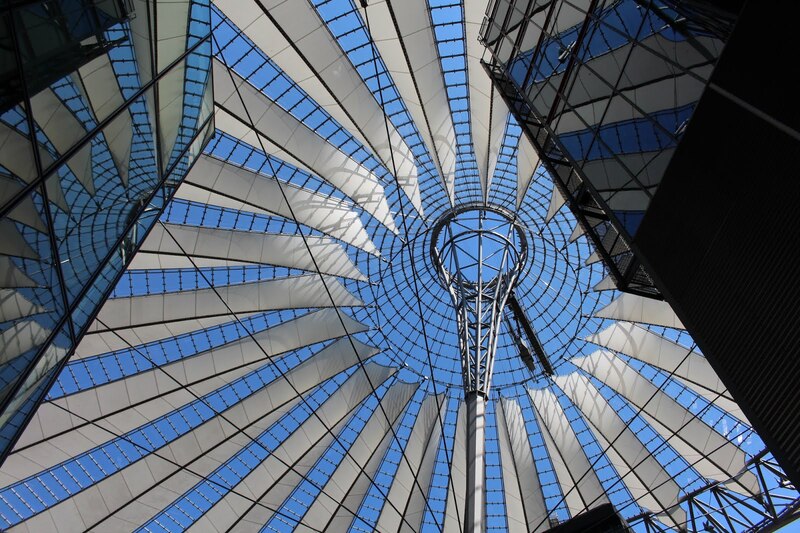 The dome was built by Brit architect Norman Foster as a symbol of Germany's reunification in 1990. 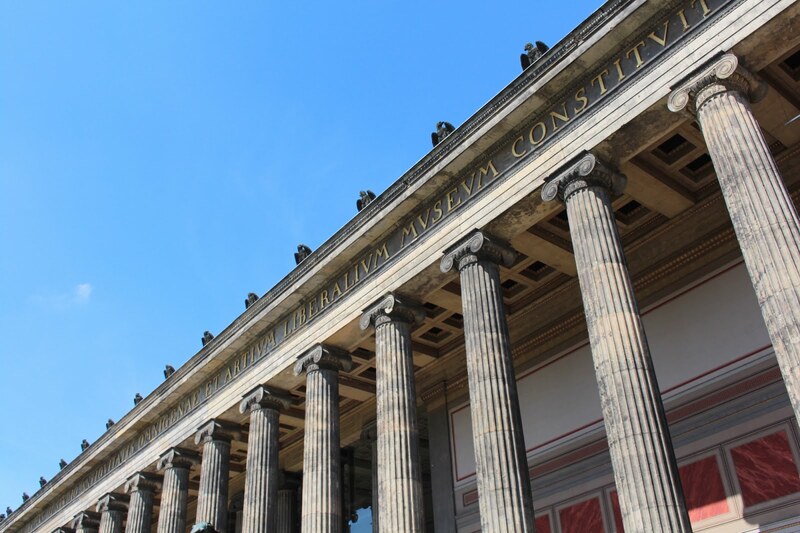 Nearby Brandenburg Gate is absolutely worth a pit-stop, as is the famous Hotel Adlon Kempinski right next to the gate. We heard about the hotel's killer champagne breakfast cocktails after we'd left... Gah! If you're planning your Berlin vacay, please go get one and then tell me how good it was! From there we weaved our way along to Checkpoint Charlie, which is only worth a quick visit, followed by the Topogrophy of Terror. It's an indoor and outdoor exhibition on the sight of the former Gestapo headquarters. 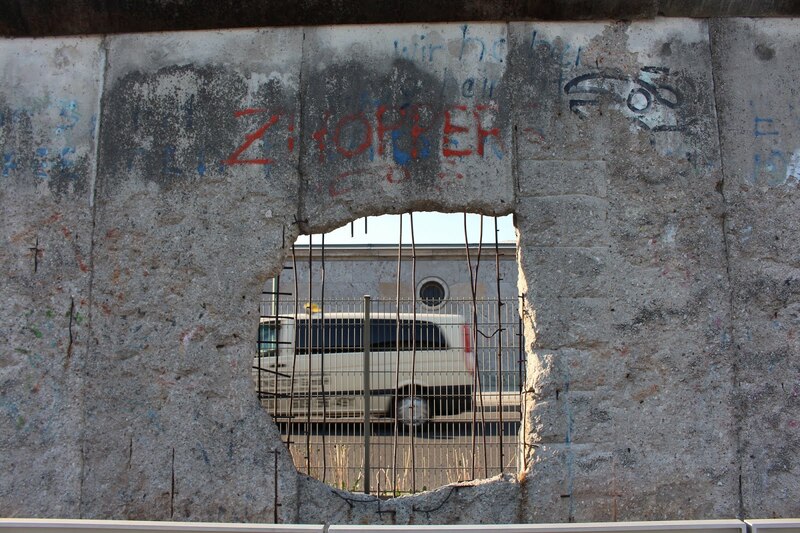 Here you can see a large piece of untouched Berlin Wall, which sliced the city in half from 1961 until 1989, as well as learn all about the development of the Nazi regime. Another eery, harrowing moment in the thriving city. 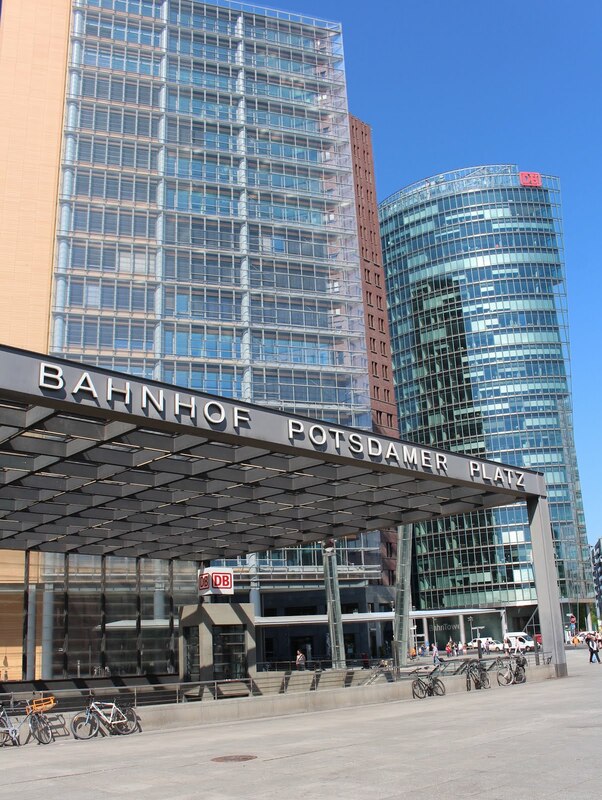 Also very much worth a stop is Potsdamer Platz 2.0, where buildings sprung up throughout the 1990s next to a former death strip - the floodlit no man's land of electric fences, guard dogs and guards on shoot-to-kill orders during the 28 years the wall was in place - between East and West Berlin. 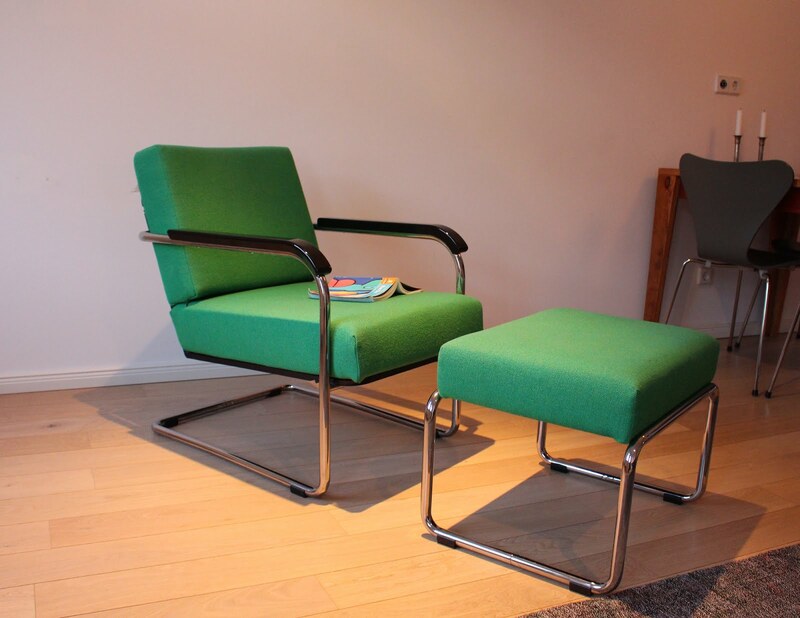 Now, it's a modern architecture delight. Richard Rogers, Renzo Piano and Rafael Moneo all designed buildings, and Helmut Jahn's Sony Centre will make you stop and stare. Also, check out the Hotel Esplanade, a rare relic from before the war which is now covered in glass for posterity. 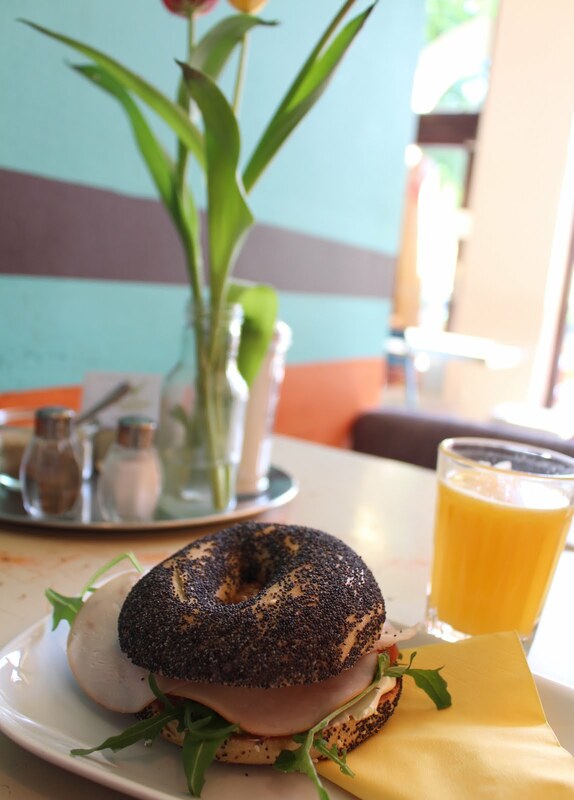 The following morning we went for brunch in Prenzaluer Berg, where I scoffed a massive modest turkey bagel and orange juice at the very cool Impala cafe. Fuelled up and ready to go, we walked down to Museumsinsel - Museum Island - to soak up some more culture and coo over the boats cruising up and down the river. I guess if the weather had been bad, we'd have stopped to look inside some more of the museums, but there's something about sunshine in a new city that just makes me want to stay outside and keep exploring. I feel like I get much more of a sense on the city that way, rather than cooped up inside looking at artefacts. 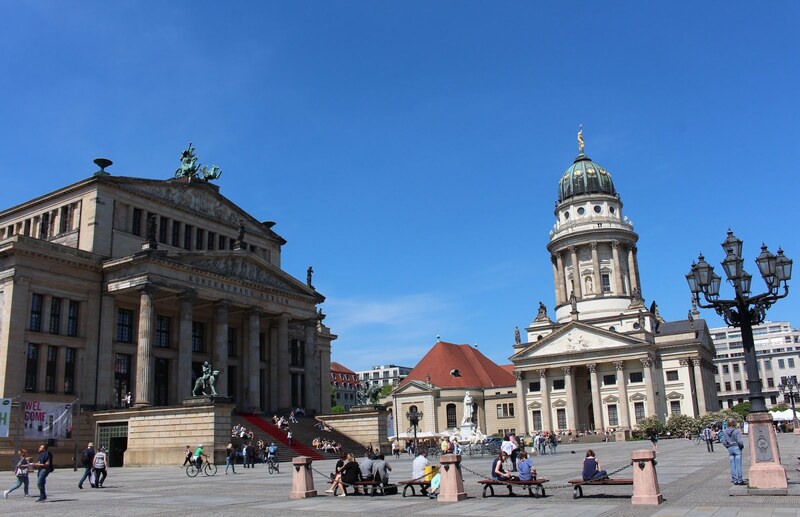 So we carried on moseying, back towards Mitte for a lunch time pitstop in Gendarmenmarkt square, where locals and tourists gather to munch their lunch on the steps of the grand Konzerthaus Berlin. 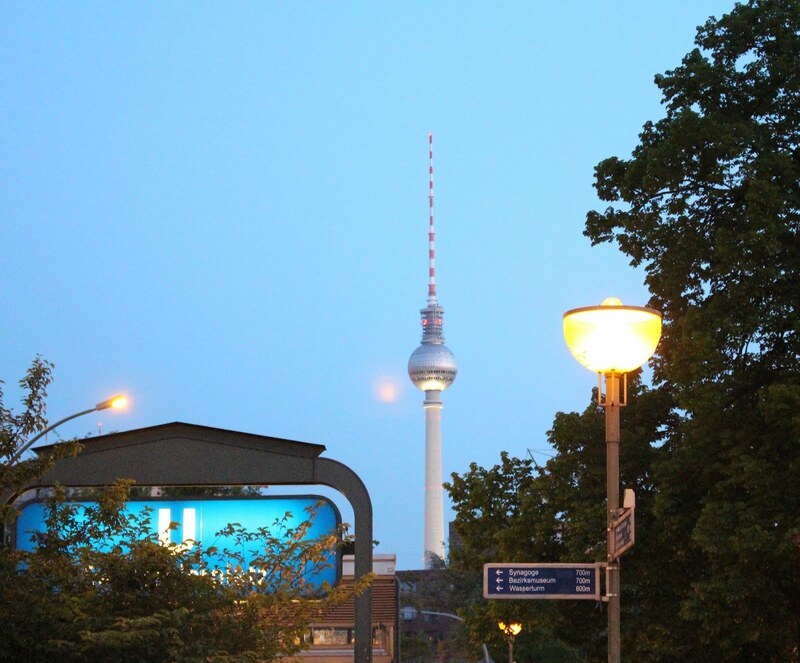 ^ Can you spot Berlin's iconic TV tower peaking out over the distance? The Fernsehturm can be seen from pretty much everywhere you go in the city. For our final afternoon, we decided to head a little way out of town to see the city's longest surviving stretch of wall, hopping on another bright yellow tube to get there. 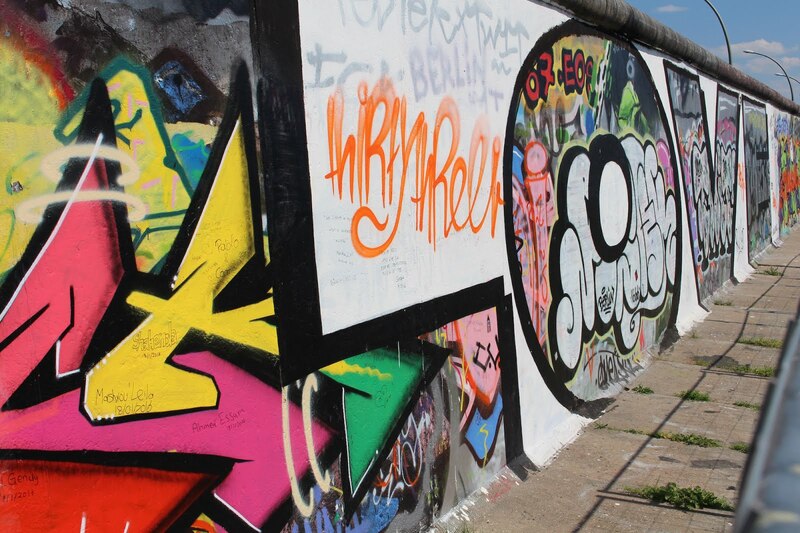 Take the tube to Kreuzberg, cross the river to Friedrichshain and you're soon following 1.3km of the wall, built to divide East and West Germany, along Mühlenstrasse. 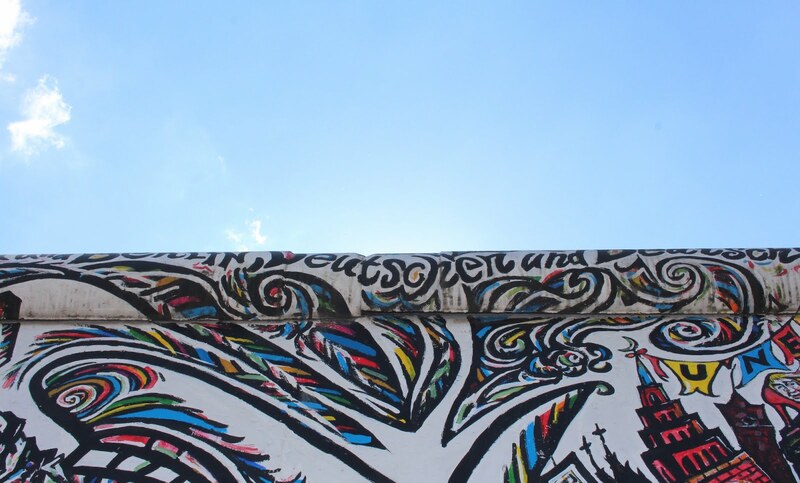 Most of the wall was demolished in 1989 but this long stretch became the East Side Gallery and international artists flocked to the site to paint visions of hope on the what once symbolised division and exclusion. This part of the wall follows the River Spree, the perfect place to stop at a cafe for some drinks and people watching after another marathon walk. 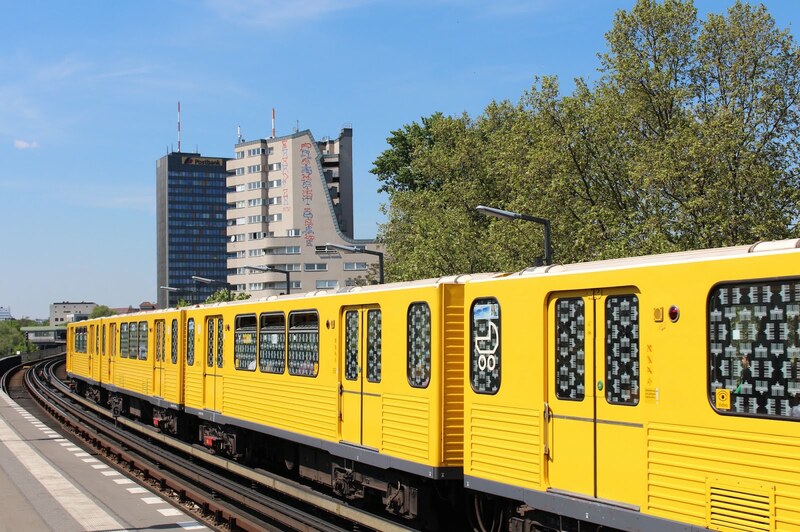 If you fancy, you can get the river boat back into town, but the gallery is also close to the large Ostbahnhof train station, so we boarded a train and headed back to Prenzlauer Berg for our last night in the city. And one more glimpse of that tower.